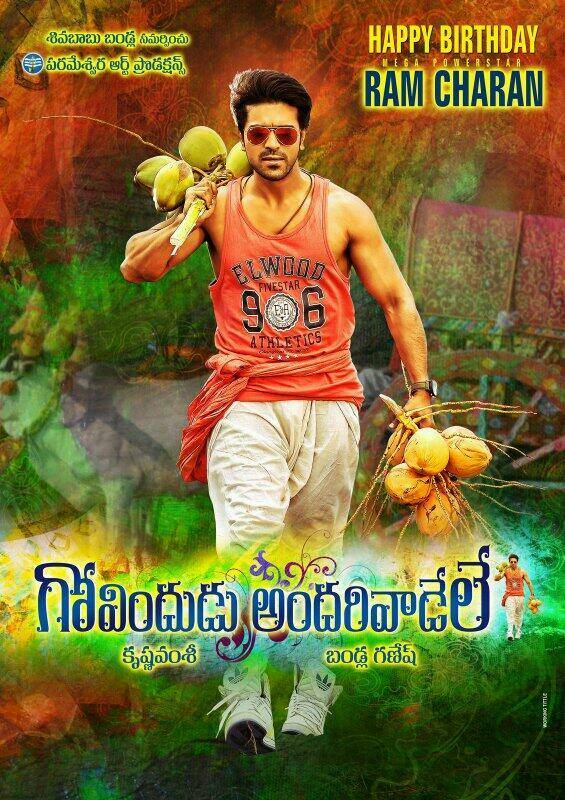 Ram Charan, Kajal Agarwal starrer Govindudu Andarivadele [GAV] will hit the big-screens on October 1. Producer Bandla Ganesh has announced the release date of GAV film with muhurat, October 9, at 05:09AM. Ram Charan and Kajal Agarwal are pairing up for Govindudu Andarivadele taking shape in Krishna Vamsi direction. The shooting schedules are progressing at rapid pace without any breaks and the latest released stills are getting good response. Yuvan Shankar Raja is composing music for this Parameswara Arts production movie. Sachin and Nazia’s new film Nee Jathaga Nenundali, an official remake of Aashiqui 2 will have its audio launched on June 14 in Novotel Hotel Hyderabad. Mega Power Star Ram Charan will launch the audio if the latest buzz is to be believed and several Tollywood biggies are also expected to attend the launch event. The film’s trailer and a song have been recently launched. Nee Jathaga Nenundali is being directed by Ravindra, who earlier directed Bumper Offer and Bandla Ganesh is producing the film under the banner of Parameswara Arts Production. Ankit Tiwari is the music director and Chandrabose provided the lyrics. Music composer Yuvan Shankar Raja is remixing this Kushi super hit track for Krishna Vamsi directed Govindudu Andhari Vadele [GAV] film featuring Ram Charan and Kajal Agarwal in the lead roles. Ram Charan starrer Govindhudu Andhari Vadele next schedule will commence on 21st April in Hyderabad. Vital family scenes will be canned in a 40 day long schedule in a specially erected set in Rama Naidu Cine Village. A couple of schedules of GAV movie are earlier shot in Pollachi. Krishna Vamsi is directing this family entertainer with Kajal Aggarwal as the leading lady in the movie. Bandla Ganesh is producing Govindhudu Andhari Vadele under Parameswara Arts production banner. The makers have replaced music director Thaman by Yuvan Shankar Raja recently. Sameer Reddy is cranking the camera.